Clamming at low tide beside the North Atlantic. Have you ever gone clam digging? The season is fast approaching. 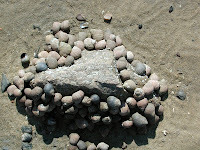 There are many excellent spots for the activity throughout the low tide mud flats of Nova Scotia. Perhaps when you come to our province on vacation you could make it a family activity. If you're camping, you can steam your clams just in a pot over your campfire. That would make for some wonderful memories. Soft shell clams steamed in wine are a treat. Clam digging can be quite a lot of fun if you find a good spot. "Clamming" is done both as recreation as well as commercially in many parts of the world. In the eastern parts of Canada and the USA it is most usually a salt water mud flats activity. Shellfish harvesting has been a food source for the First Nations people since they first arrived on the shores of the Atlantic. 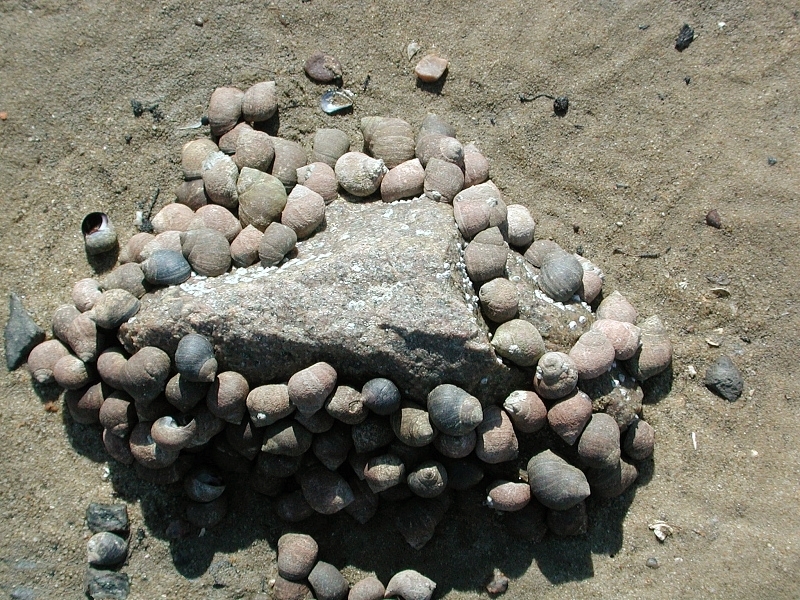 Currently in Atlantic Canada recreational shoreline harvesting is most common for the soft shelled white clam, although dulse and periwinkles are also often collected (with no digging...). 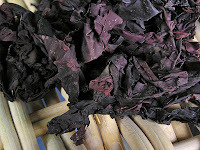 tide and can be harvested. Soft shell clams (Mya Arenaria) belong to the Mollusca family, which includes bivalves, gastropods and cephalopods (shellfish, snails and octopus/squid/cuttlefish). They have a brittle shell of calcium carbonate, which explains their common name. They’ve also earned the nickname of “squirt clam” because they spurt water when disturbed by diggers. This mechanism is to propel them deeper into the sand to avoid capture. All you really need to hand harvest clams is a tined digging fork and a bucket with some sea water in it to keep the clams alive. Some people use a garden hoe or shovel, but you greatly increase the chance of shattering the shells when you dig thus rendering the clam unusable. Clams must be cooked while still alive. Commercial clamming, usually for razor and quahogs, is done offshore using draggers. This damages the sea bed terribly and scoops up everything in its path—not just what the fishery is after. Alternatively a large “clam rake” with a sort of basket attached is sometimes employed and dragged behind. 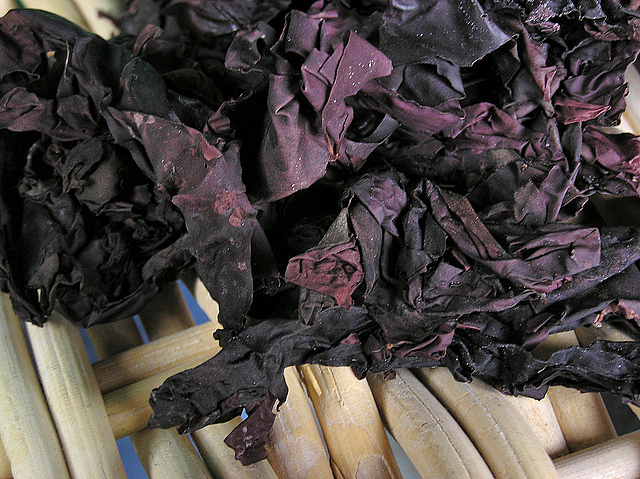 Cultivated clams in comparison are hand dredged. The legal size to harvest clams in Nova Scotia is 44mm long (1.7”). When the tide is low, or almost all the way out, you walk out on the exposed flats and look for little holes in the sand. That is the mark of a clam below the surface. It can also be the mark of a sand worm, which are gross, but you persevere. This video shows what the holes in the sand flat look like. After harvesting, the clams should be rinsed and placed in well salted water with some corn meal. The clams ingest the meal and excrete sand and “other particles” that you may not want to eat. 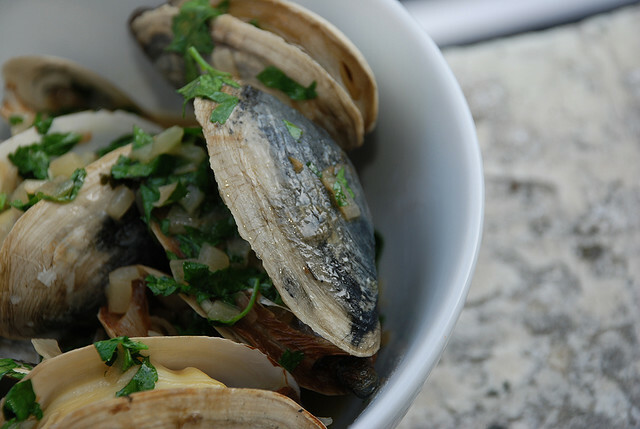 Once prepared, the clams can be steamed until they open, or shucked and collected with their juices for use in recipes. 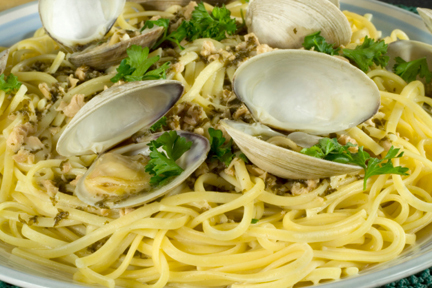 You can certainly harvest clams for the following recipe if you wish, or use canned clams. Both are written in the recipe. A word of caution, clam beach closures due to contamination have dramatically increased over the past decade all along the Eastern seaboard. Most often it is caused by clams feeding on toxic plankton, which can cause paralytic shellfish poisoning in humans if eaten. So be certain the flats you choose are approved for clam harvesting. If you have any doubt at all, call the Department of Fisheries and Oceans (tel 902-426-3550). 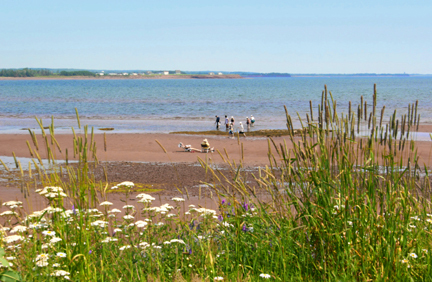 The usual clam digging season in Nova Scotia runs from the first week in May through to the end of October. Cook the linguine, drain and keep in warm water. Heat the oil in a large, wide saucepan. Add the shallots and garlic and sauté on medium for a few minutes until the shallots start to soften. Add the clams and sauté for 1 minute. Stir in the wine, cream, tarragon, salt and pepper. Cover and allow to cook for 3 minutes. Mix together the stock and cornstarch. Add to the clams and allow to thicken. Let cook for 2 more minutes. Drain the pasta and toss in the pan with the clam sauce. Let heat through. Serve with parmesan and parsley (or chives) at the table.